The news spread quickly, even though the post was deleted within 20 minutes by internet censors. 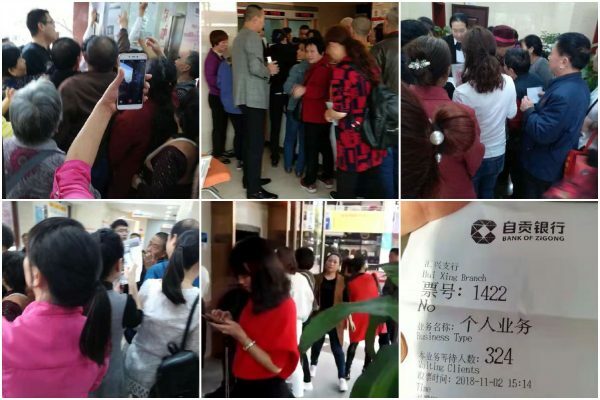 Scores of bank customers rushed to dozens of bank branches in Zigong City to retrieve their deposits, while long lines of people could be seen from photos of the scene and uploaded by netizens. Soon after, the Zigong City branch of the national bank regulator, China Banking Regulatory Commission, sent out an emergency notice seeking to calm customers. The notice indicated that the Bank of Zigong, which was founded in 2001 and has 32 branches in the city of 1.2 million people, is running normally and has sufficient cash flow for reserve funds. Local police also announced the arrest of the person who spread the “online rumors.” But that didn’t stop customers from rushing to the bank. Though the rumors were unconfirmed, the resulting bank run by panicked customers could spell serious trouble. As more customers try to withdraw funds, Bank of Zigong may eventually default. That would have broader repercussions for the Chinese economy, as the Bank of Zigong exemplifies a common situation in many regions across China. Like many economic hubs in China, municipal authorities in Zigong have borrowed large sums from the Bank of Zigong to finance local infrastructure projects. The bank explicitly explains on its website that the institution supports initiatives by the city’s Communist Party committee and government authorities such as building projects, city redevelopment, state-owned enterprises reform, and more. Economists predict that when the city investment firms go bankrupt, the domino effect on banks that loaned money to them, as well as the private individuals and companies that invested in them, would be detrimental. “If there is a bank run at the Bank of Zigong, this means a financial crisis in China will begin from these local small banks,” said Twitter user Cao Ji, a former professor in Shanghai, who now does academic research in Taiwan. There are also clues that what was said in the initial social-media post that sparked panic may be true. The post listed three companies as the bank’s majority shareholders: a real estate company; a conglomerate with portfolios in residential development, commercial real estate, and manufacturing equipment; and China Western Power, a firm that manufactures and distributes boilers. China Finance Information, a financial data portal, released a public announcement stating that after China Western Power invested in Bank of Zigong, it became the bank’s largest shareholder, with a 20 percent stake. China Western Power is currently in financial distress, according to an Oct. 8 report by the Changjiang Times newspaper that says the company faces high levels of debt. As of the end of June, the company’s debt-to-asset ratio reached 77.52 percent, an increase of 10 percent from the end of 2015. 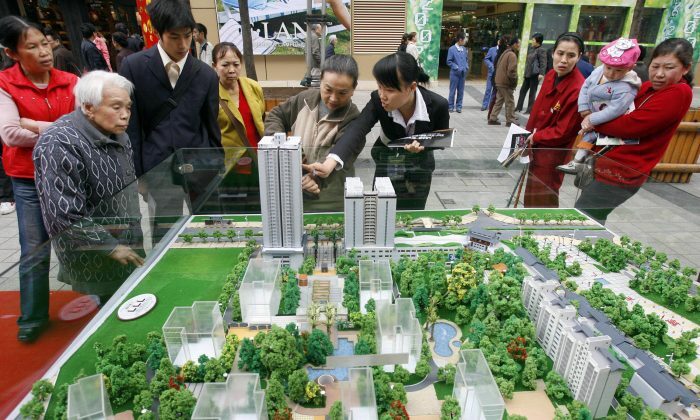 The company needs to repay 1.01 billion yuan (about $146 million) in loans by year’s end, according to the report.